Fall is here and it is prime season for wildland fires. Leaves and pine needles fall from trees and dry up on the ground. Occasionally, these materials can combust on their own and start a large fire sometimes requiring a large fire department response. Please take caution when discarding cigarettes or other flammable materials. Make sure to obey all DEC laws and check for red flag warnings or regional or local burn bans. If you are having a controlled burn, please contact Franklin County Dispatch at (518) 483-1219 to make them aware. Winter 2015-2016 is almost upon us. While the last few years have been mild winters, we never know what the weather holds for us this year. Preparation for winter is very important in many aspect, including home preparation, and auto preparation. Knowing what to do in the event of a storm can potentially save lives in a severe enough snow event. Here are some tips for preparation. 2. Water Intrusion- Water and ice damage can threaten your home or business but steps can be taken to minimize damage done. If intrusion is occuring and damage has been done, it is important to stop the intrusion and seal your building before cleanup begins. Board up broken windows, repair roof leaks, put plastic sheeting up aver open walls or roofs. After the leaks have been stopped, it is important to remove as much standing water as possible and remove water damaged material as soon as possible before mold sets in. Make sure all electrical devices are unplugged or power is shut off to the structure before beginning cleanup to avoid electrical hazards. You can also call a water extraction company if further assistance is needed. By taking immediate action on cleanup, you will avoid the rust, rot, mold and mildew that normally follows and could potentially lead to structural problems. 3. 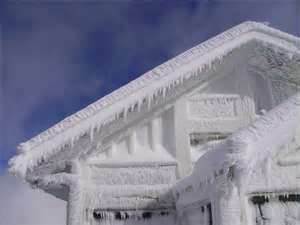 Ice Dams- Ice dams are an accumulation of ice at the lower edge of a sloped roof. When interior heat melts the snow, water can run down and refreeze at the roof's edge, where it's much cooler. If the ice builds up and blocks water from draining off the roof, water is forced under the roof covering and into your attic or down the inside walls of your house. To avoid the possibility of ice dams, make sure all leaves and debris are cleared from gutters, Keep the attic well ventilated to avoid melting of snow and refreezing of the edge of the roof, and make sure your attic floor is well insulated to avoid heat rise to your roof. 4. Bursting pipes-Bursting pipes occur when frozen water causes a pressure buildup between the ice blockage and the closed faucet. Pipes in attics, crawl spaces and outside walls are particularly vulnerable to extreme cold. To keep water in your pipes from freezing, fit exposed pipes with isulation sleeve or heat tape to prevent heat transfer, seal all cracks and openings in your foundation or crawl-space with insulation or caulking, keep cabinet doors open to allow warm air to circulate around pipes, and keep a slow trickle of water flowing from a faucet that is connected to exposed pipes. 1. Clean your car inside and out- A clean car is a happy car. A clean car is also a safe car. A good thorough wash and wax not only makes your car look great, but it also serves a function. A good coat of wax allows the snow and sleet to brush off easier and can make winter driving safer. Waxing should be done at any temperature above 55 degrees. This is when the wax has the best adhesion. Also, keep the inside of your car as clean as possible. 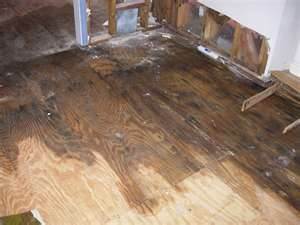 Water damage can occur from standing water from snow and ice. Keep your seats and carpets vacuumed and remove any large debris before vacuuming. Its also a good idea to replace your carpet floormats with a good set of rubber/vinyl floormats that are waterproof. This will help with water soaking into the carpets and causing damage. 2. 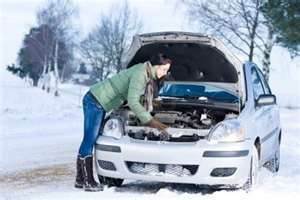 Test your charging and electrical system- Cold weather can wreck havoc on your vehicle's electrical system and battery, and the increased power demands of defrosters, windshield wipers and heating systems makes an electrical system test a must. A simple volt meter test on a battery can determine whether or not replacement is necessary. If the battery is at 12.4 volts or less, that could be an indication that replacement is needed. However, before replacing the battery, a more thorough check should be done to be sure it doesnt just need to be charged. While youre at it, its a good idea to have your alternator checked for charging efficiency as well. Nothing worse than a bad alternator leaving you stranded on the side of the road in the cold. Finally, make sure all bulbs are functional and bright. 3. Check your coolant and other fluids- While it is more important to check your coolant during the summer while it is hot (hence the name COOLANT), it is pretty imperative to check it during the winter. Coolant that has an incorrect ratio, more than 50% water may freeze and cause expensive damage to the engine and radiator. Check your owners manual for exact specifications. Coolant can be checked with an inexpensive bulb-gauge found at any auto parts store. Any reputable garage can also do this for you, most free of charge. Check your hoses for leaks or wear. Any softness in hoses warrant replacement. Also, check other resevoirs such as brake fluid, clutch fluid, transmission fluid, and oil level. Some vehicles require a lower viscosity oil during the winter. Check your owners manual. 4. Maximize your vision- Wiper blades are crucial during the winter. Make sure that your wipers make a clean wipe across the width of a windshield and have a good supply of windshield washer fluid. If you replace your wiper arms, make sure they dont lift off the windshield at higher speeds. Also, specific winter wiper blades with a rubber coating on them are extremely effective in the snow and sleet. Always keep an extra gallon of windshield washer fluid in the trunk and buy a washer with a deicer agent in it. 5. Equipped for the road- Once your car is suitable for the winter months, make sure you keep everything you may need in it for the unforeseen circumstances. Always keep a soft bristled snow brush and an ice scraper or a combination of both handy. Other tools suited for unpredictable winter conditions include a collapsible shovel, a well-stocked emergency first aid kit and a set of jumper cables. Snow chains in mountain areas may also be necessary. In case you get stuck, keep a set of traction pads(found at any department store), or a couple pieces of scrap carpet. When packing for a longer trip include items such as a blanket, a flashlight, candles and a lighter, flares, and an extra bottle of windshield washer fluid. 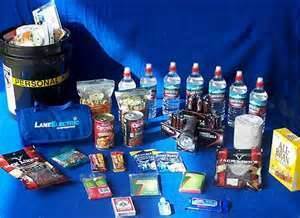 Roadside emergency kits can be bought at any department store and most auto parts stores. A flashing strobelight and reflective triangles are found in these kits. Weather is changing here in the north country and we have seen some pretty severe weather over the past few years. An area known only for harsh winters has seen unusual amounts of tropical like weather, including remnants of hurricanes, and tornado threats. That being said, how prepared are you for a major weather event that may occur? Here are some suggestions for being prepared. -3 day supply of drinking water. you can figure 1 gallon per person per day. -3 day supply of non-perishable, easy-to-prepare food per person. 2.Prepare for possible long-term power outages. If you have a generator, this can help make life easier. If not, simple steps can be taken to preserve as much food, etc. as possible. -Test your generator, locate it away from doors, windows and vents to prevent CO from coming indoors. never use a generator inside a home, garage, or basement. -Keep coolers, ice, and a quick response digital thermometer on hand to preserve food. Thermometer should be used to check internal temp of the food. -Keep your battery powered or hand crank radio within reach. -Have at least a half tank of gas in your vehicle at all times. 3. During the storm, depending on the type, it is important to remain indoors. High wind situations, such as hurricanes or microbursts, stay in an interior room with no windows that may be broken due to wind or debris being blown around. In the event of a tornado, the prefered shelter is a location belown ground level, such as a storm cellar or a basement, however if these are not available, choose an interior doorway or archway that will have some structural integrity. 4. Remember that in flooding situations. there may be a water boil mandate in effect. This means that any water from your household water system will need to be boiled before it can be used for drinking. Flood waters can be very hazardous. Always obey traffic signals regarding flooding and never attempt to walk through or drive through flood waters. Very shallow, fast moving water is capable of sweeping full size trucks long distances. 5. Emergency contact numbers should be kept on hand during weather emergencies. Keep in mind that your local fire dept, police dept, etc. may be extremely with other calls and emergency response may be delayed and incidents are often prioritized in these situations. If your emergency is life threatening, this information should be relayed to the dispatcher and dont hang up until all the dispatcher says it is ok to hang up. 6. STAY CLEAR OF ANY LOW HANGING OR DOWNED POWERLINES! These lines can still be energized and potentially deadly. Wait for the utility company to deal with these situations. If you find yourself in a car with powerlines on top of the vehicle, Call 911 and remain in the vehicle until emergency responders and utility companies clear the lines from the car. It is important to remain calm in these instances. 7. Keep in mind the possibility of having to relocate to an emergency shelter. The Constable Volunteer Fire Dept. is a designated Red Cross Shelter. 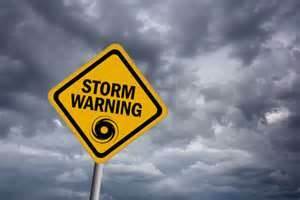 For a list of local shelters, contact your local Emergency Services Dept. More tips for storm preparedness can be found online at the National Weather Service's official website http://www.weather.com/ or at the American Red Cross' website, http://www.redcross.org/. You can also download the official Weather Channel app and Red Cross Hurricane, Earthquake, and First Aid apps from Google Play Store for Android Devices or Apple App Store for iOS devices.